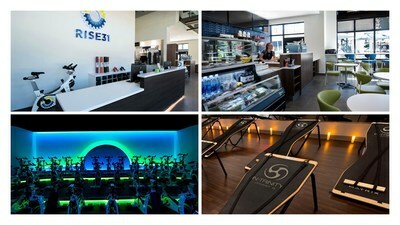 DELRAY BEACH, Fla., Jan. 30, 2019 /PRNewswire/ — Rise31, Florida’s first multi-fitness and coffee café studio, officially opened its doors in the prestigious Delray Marketplace. The studio’s founder, Matt Sternberg, engaged the services of Barbara Chancey, owner of Indoor Cycle Design, to create the studio’s brand identity and provide full architectural services. As the global leader in boutique fitness startups, Chancey and her team of experts created a lifestyle destination unlike anything Florida has seen. For Updates and Media Gallery, Please Visit: www.indoorcycledesign.com. 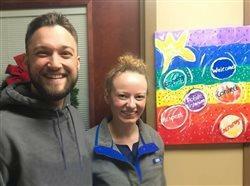 The project involved creating full interior design concepts, including a reception desk with cycle shoe storage and retail space to showcase fitness apparel. The R-Café’s expansive seating provides a relaxing, beautiful space to refuel after a workout or drop in to meet friends or business colleagues. The walk-up window and colorful outdoor seating is a welcome addition to the upscale shopping complex, and coffee lovers can gather from sunup to sundown. Rise31’s indoor cycling theater is equipped with multisensory illumination designed by British lighting designer Daryl Vaughan who has worked with many of the leading names in popular music, including on world tours with Genesis, Paul McCartney, Pink Floyd, Sting, and the Rolling Stones. The signature «rising» light show encourages riders to elevate their workout and radiate positivity.